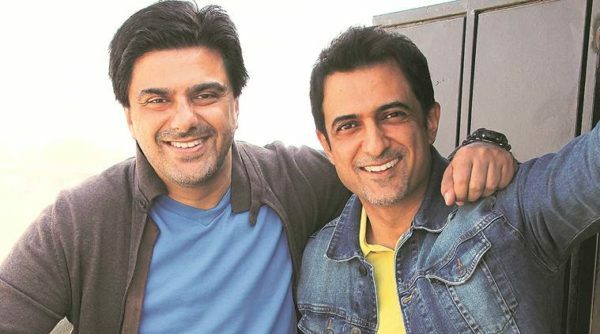 In the late ’90s, when actors Sanjay Suri and Sameer Soni were starting out as models, they would often meet at auditions. They would even be mistaken for each other. That’s something that they still experience after spending nearly two decades in the entertainment industry. But as friends who have turned collaborators — they recently made a psycho-thriller, titled My Birthday Song, they have learnt to laugh at it. “We got along during the shooting of Sanjay Gupta’s Alibaug. We were cast together in that film which never got completed. However, My Birthday Song did,” says Suri. Soni was living with the story of My Birthday Song for nearly three years. When he narrated the story to Suri, the latter asked him to direct it. Soni promptly asked Suri to act in it. The two friends eventually decided to produce it together. “Sanjay is very convincing as the common man of the urban society. His face kept coming to me even while writing the story. He was the reference point for the character of Rajeev. Pitobash was another actor I thought of while writing the script,” says Soni, who has acted in popular television shows such as Jassi Jaissi Koi Nahin and Parichay. The movie, which captures the travails of a successful ad-executive whose 40th birthday celebration turns into a nightmare, released to mixed reviews recently. According to Soni, every actor is a writer. “They have a story even though they might not have the discipline of writing it. They keep wondering what if this happens. This movie’s story developed from the idea of an accidental death,” said Soni, who counts Memento and Sixth Sense among his favourite thrillers. Both the actors believe that the lines dividing creative roles, such as acting, direction and production, have been increasingly getting blurred. “Digital medium has given us an opportunity to explore different ideas. Earlier, producers insisted on backing the formulas what had work worked. Times are changing,” says Suri, who debuted with Pyaar Mein Kabhi Kabhi (1999) and acted in acclaimed movies such as Pinjar (2003) and My Brother… Nikhil (2005). Interestingly, Suri is an experienced producer who has backed films such as Onir’s I Am and Bikas Mishra’s Chauranga. While Soni calls Suri “the best multitasking expert” he knows, the latter shares his secret. “Rather than micro-managing, as a producer one needs to have a bird’s eye view,” says Suri. Both agree that, being indie filmmakers, they have to look at every aspect of filmmaking and its marketing. Soni plans to direct at least one more movie. “There is another script that I have written. Later, if I feel strongly enough, I will take up scripts by others.” Suri may even turn director to give shape to a script that his production house has developed.